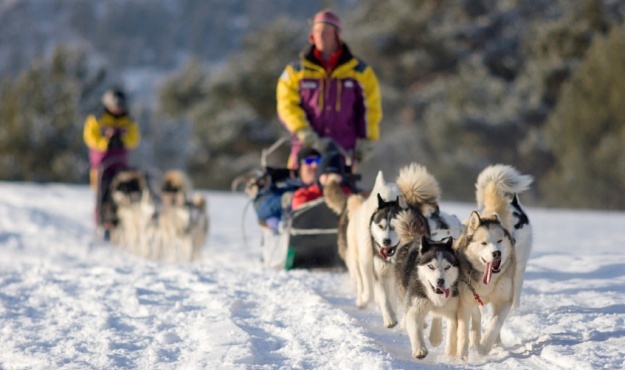 Vast white open spaces, fringed with forests as far as you can see… The soft patter of husky paws on the snow as they gallop along through pure, unspoilt Nature. The frozen beads on the beards of the mushers bear witness to the courage of these adventurers in pursuit of the Absolute and who strive for harmony within, and with their faithful dogs… So much more than a sport, dogsled riding is first and foremost a state of mind: the idea of sharing and being at one with the animal world is primordial. Get ready for the feel of a Far North expedition! !